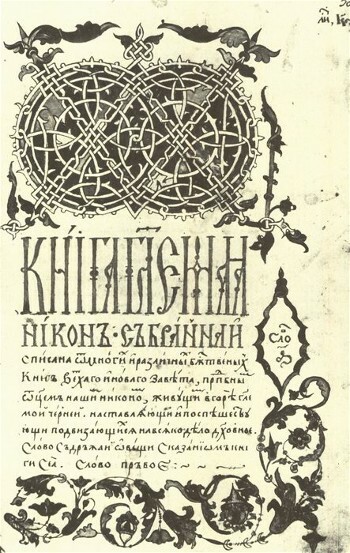 Ostrih Chronicle (Ostroz’kyi litopysets’). A chronicle of the years 1500–1636 in Galicia and Volhynia, compiled in the late 1630s. Events up to 1598 were taken from Marcin Bielski's Polish chronicle, but the events of 1599–1636 are based on the observations of an unknown author and other eyewitness accounts. The chronicle describes various wars of the Cossacks; Turkish and Tatar attacks on Ukraine; and significant cultural and religious events during the period of struggle between the Orthodox and Uniate churches. Because much attention is devoted to the Ostrozky family and to events in Ostrih, the chronicle was dubbed the Ostrih Chronicle by M. Tikhomirov, who discovered it and published it in Istoricheskii arkhiv (vol 7, 1951). The chronicle was written in the Ukrainian vernacular of its time.